Sitting on the beach with my toes in the sand and sunshine on my mind. 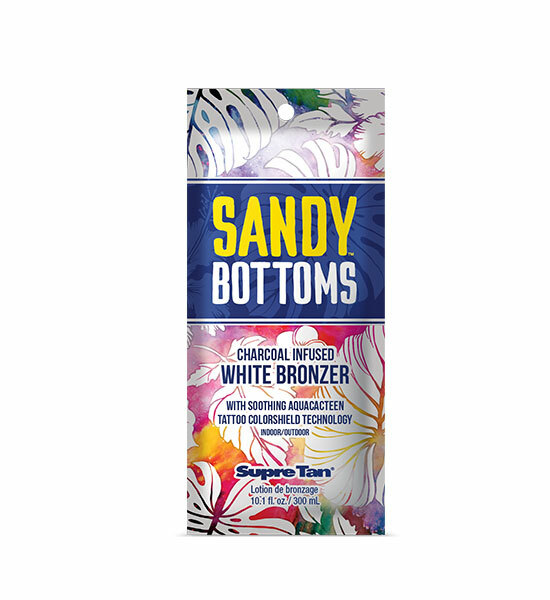 Sandy Bottoms Charcoal Infused White Bronzer helps detoxify and hide those little imperfections for flawless radiant skin. AquaCacteen, an ultra-refined elixir helps soothe and provides long lasting hydration for a more vibrant looking tan. It’s okay to be a beach bum with this indoor/outdoor, tattoo protecting formula. Not many things beat the sound of the surf and someone to share it with… come sit, I saved you seat.